You really have to hand it to Delta Airlines. A week after I wrote a post detailing my many frustrations with booking an award ticket with them, they decide to anger me even more. Without any notice or warning, Delta increased the pricing on several awards without any notice to the public. Delta prices their awards in "low", "medium", and "high" pricing categories, with the "high" awards costing the most miles. Luckily "low" award pricing is unaffected, but the decision to do this without notice is really rankling the frequent flyer community. 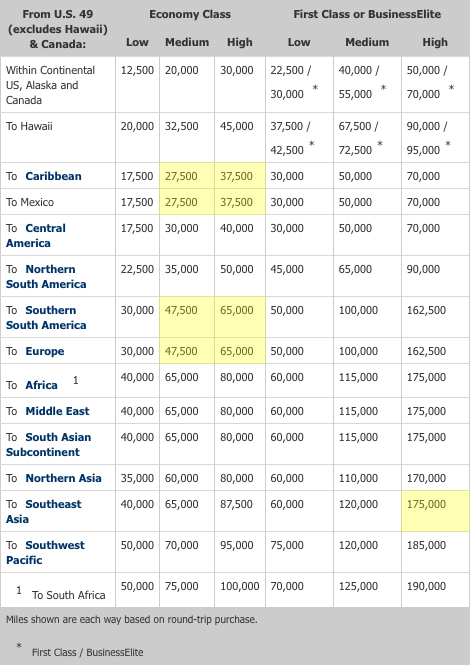 To summarize, round trip "Medium" and "High" coach awards are increasing by 5,000 Skymiles from the U.S. to the Caribbean, Mexico, South America, and Europe. That certainly isn't a lot, but it's the spirit of the (lack of) announcement that makes this change so poor. Delta attempted to engender some goodwill by also secretly dropping the price of "High" level business class seats from the U.S. to Southeast Asia from 370,000 Skymiles to 350,000 Skymiles. Unfortunately, that's like offering a 2% discount on a Ferrari. No one I know is crazy enough to cough up that many miles for an award ticket anyways. "It works like a pricing change, so legally, we're not allowed to notify folks in advance." If that statement didn't make you roll your eyes, what's it going to take? I can't think of another frequent flyer program that doesn't properly communicate changes, for better or worse, in advance to its members. Even a week's heads up would be better than this! 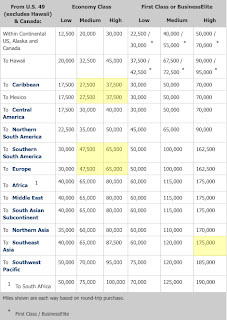 Bottom line, the value of Delta Skymiles is devalued even more than it already was. Awards are expensive, hard to come by, and the precedent of sudden award pricing increases makes them a dangerous currency to hoard.